Win this coffret! Enter below. People talk a lot about luxury, often mistaking it for something that merely costs a lot of money. That’s not really luxury. At least, it’s nowhere near the whole story. I think luxury is about quality, craft, and rarity. Luxury is something special that takes time to be created and enjoyed, which is especially unusual in this age of fast fashion and gobble-and-go meals. I’ve been thinking a lot about luxury after a visit to the Creed boutique on (where else?) Madison Avenue. It’s a gleaming bijou of a store, petite enough to fit only a handful of clients, but it is a major destination for fragrance connoisseurs. People come from literally all over the world — and by “people,” I include royalty and celebrities — to track down the perfume they’re dreaming of, or to slot themselves on the wait list for it. This might sound like hyperbole, but while I was there, I watched a woman walk in with a rare fragrance that was no longer in production. When she plucked the vial of it from her purse, another customer’s eyes bulged in envious recognition. It was like watching a vinyl geek discover a copy of Frank Wilson’s “Do I Love You” — of which there are two copies in the world, mind you. Not just rare, but legendary. Creed went on to make fragrances for Queen Victoria and Napoleon III. To understand Creed’s appeal and history, you have to go back. Way back to the 18th century, when one James Creed tailored leather gloves for the English court. They were well-received, and in 1781, Creed created his first fragrance, Royal English Leather, for King George III. In the following century, the house of Creed would develop commissioned fragrances for European royalty, including Queen Victoria and Napoleon III. By the early 20th century, Creed counted monarchs, elites, and political figures as its clients. So it continued. Using a high concentration of essential oils, Creed blended fragrances for the likes of Winston Churchill, the Duke of Windsor, and JFK. Grace Kelly famously wore Fleurissimo on her wedding day. And the most remarkable part of this story is that these fragrances were made only for the person who commissioned them. When Audrey Hepburn wore Spring Flower in the ’50s, she was literally the world’s only woman with that exact blend of jasmine, rose, and fruit. When Audrey Hepburn wore Spring Flower, she was literally the world’s only woman to do so. 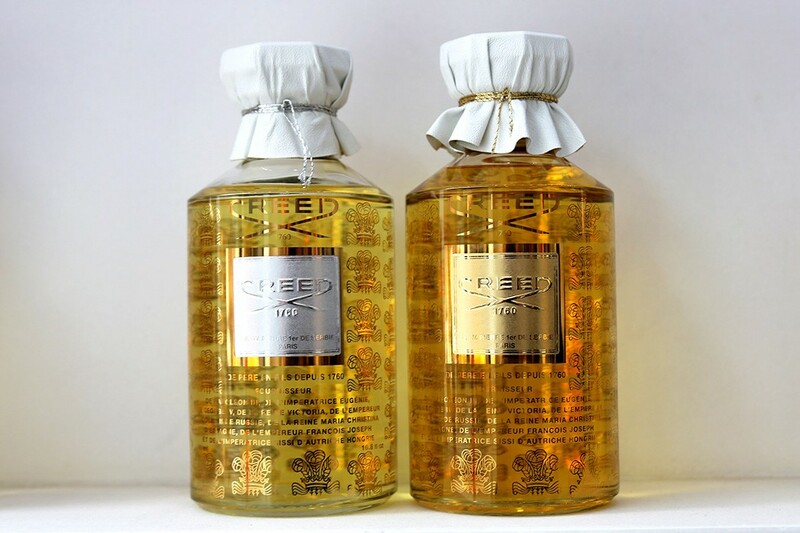 In the early 1970s, Creed began offering its fragrances to the public for the first time. Some, such as Jardin d’Amalfi, are not commissioned for individuals, but for everyone. 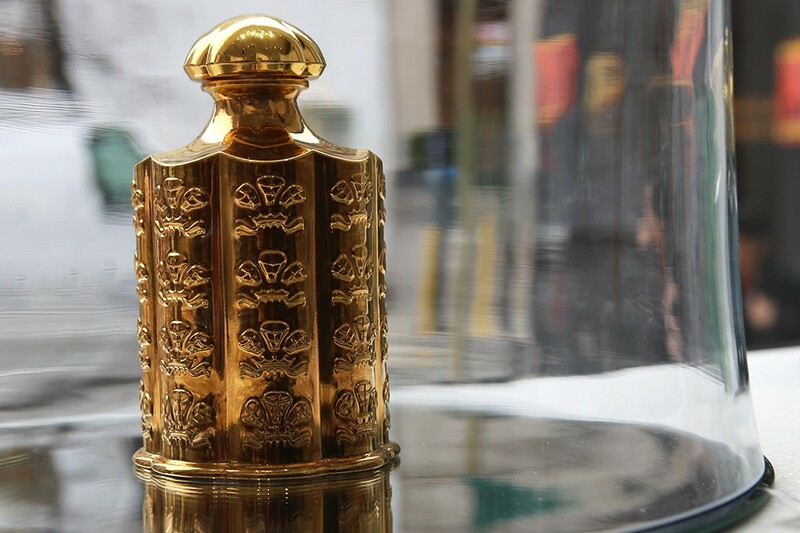 Others are commissioned scents that are released to the public, which is why you can hold a bottle of Fleurs de Bulgarie and know that Queen Victoria smelled of a thick, slightly musky rose-and-bergamot perfume. Or that Winston Churchill preferred his cologne with leather, tobacco, and ginger. When I smelled these fragrances, it was like inhaling a little-known history — not just of those individual people, but of their eras, in an unusual and fascinating way. While Creed’s newer fragrances are wholly contemporary, the brand’s heritage remains strong. For more than 250 years — seven generations! — one father has passed his knowledge to his son. (I find this family tradition impressive and endearing.) 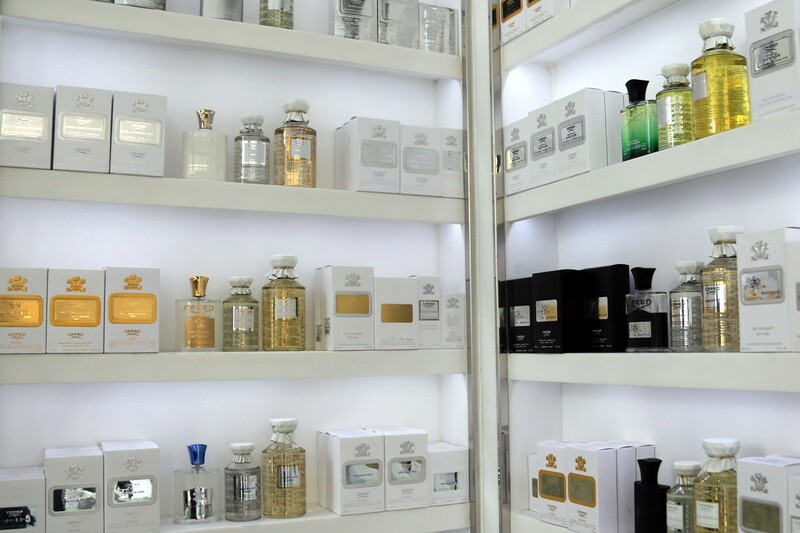 Nothing is rushed; a fragrance may take more than five years to be perfected. The bottles are made by Pochet, a French glassmaker dating back to 1623. The raw materials used in the fragrance take more than a month to prepare, and the emblem on the bottle caps is still applied by hand. Exclusivity is still part of Creed, too. 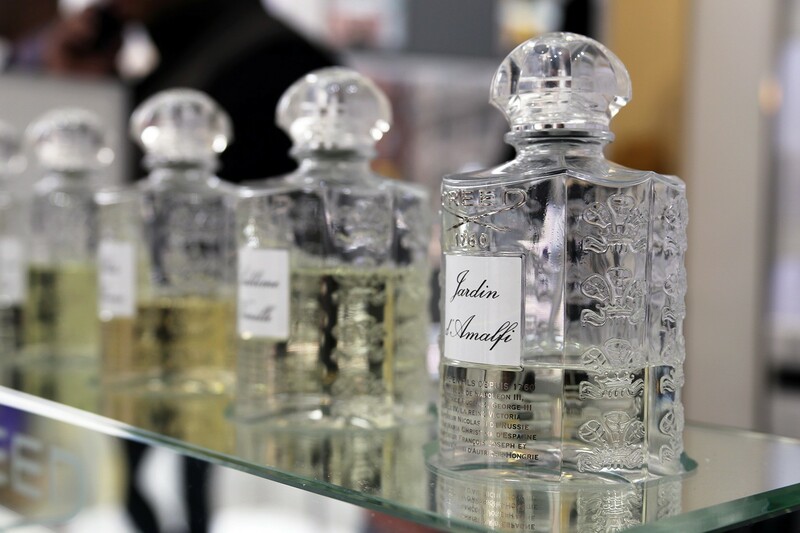 Some fragrances are released in editions as small as 300, and when they’re gone, they’re gone. This is perfumery that takes time, that doesn’t rely on zillion-dollar ad campaigns, that feels special and different. 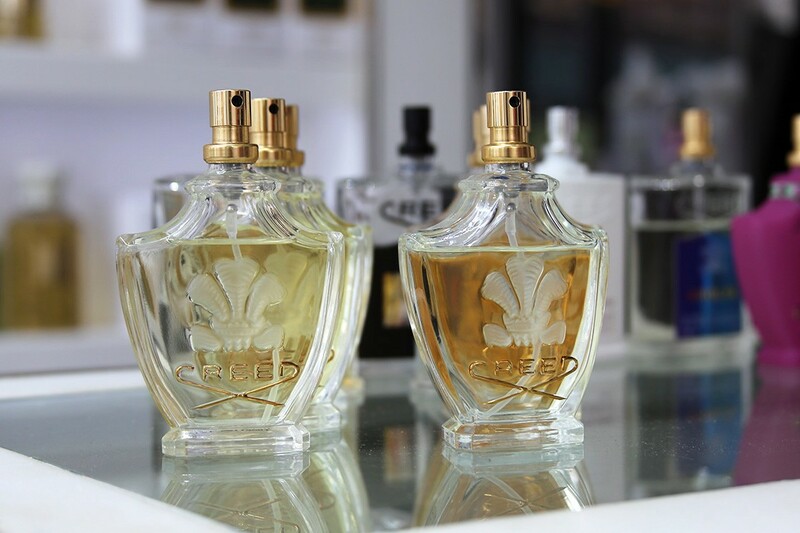 Giveaway: Enter to win a Creed Essences Pour Elle coffret! Well, now you probably want to smell some fragrances, right? Right. That’s why one very lucky winner will receive a Creed Essences Pour Elle coffret, a limited-edition sampling of five of the most-loved Creed fragrances: Acqua Fiorentina﻿﻿, Love in White﻿﻿, Fleurs de Gardenia﻿﻿, Spring Flower﻿﻿ and Virgin Island Water﻿﻿. Plus, the winner will receive $50 to use toward a fragrance purchase at Creed online. You fancy, huh? Obviously. Giveaway ends April 25, 2014 at 11:59 PM EST. Open to residents of the United States only. Prizes cannot be shipped to PO Boxes. Winner will be selected by Random.org and be notified by email. Winner has 48 hours to respond before a new winner is selected. The product offered for the giveaway is worth $55 and is free of charge, no purchase necessary. Facebook is in no way associated with this giveaway. By providing your information in this form, you are providing your information to The Glowhow and The Glowhow alone. The Glowhow does not share or sell information and will use any information only for the purpose of contacting the winner. Whoa, did you read this far? Thanks! I once stopped a stranger / colleague at the office because I had to know what cologne he was wearing. That was a year ago. I’ve been dying to remember the name since… It was Creed! Thank you for reminding me. Now I just need to figure out which one. Ha! I’m pretty sure you can go smell at Neiman Marcus, if you want to sniff it out.